A long time ago I picked up this 50W Soldering Station from SparkFun, and it’s worked well over the years. (Also, props to SparkFun for still listing retired products on their site!) The nice thing about this iron is that it can use Hakko tips, and since I can get Hakko-compatible tips super-cheap on eBay, I’ve got a lot of tips in the shop so I’m never without one. I had to find a replacement handle, and it requires one with 7 pins. 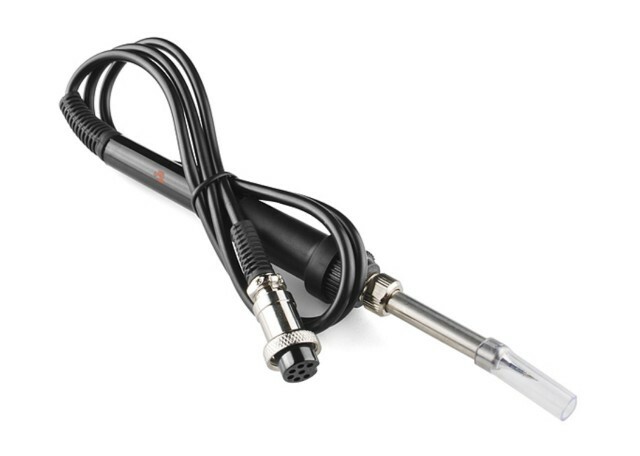 After browsing around eBay for a bit I found the 7-Pin 907 Soldering Iron Handle For AT936b AT907 AT8586 ATTEN Soldering Station, which seemed like it was the right one. I figured that for under $8.00 I’d just order it and hope it worked. And it did. 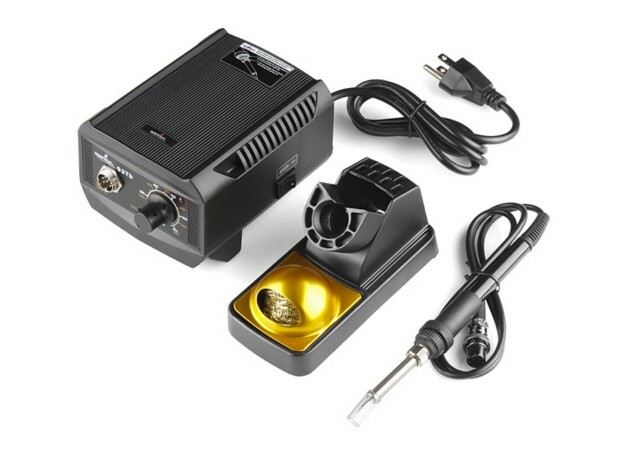 I also learned that the SparkFun iron is basically an ATTEN 937b Anti-static Rework Soldering Station, which you can find cheap on eBay as well. (I mean, lots of things are cheap on eBay, because they may be knock-offs or just not that good. YMMV.) 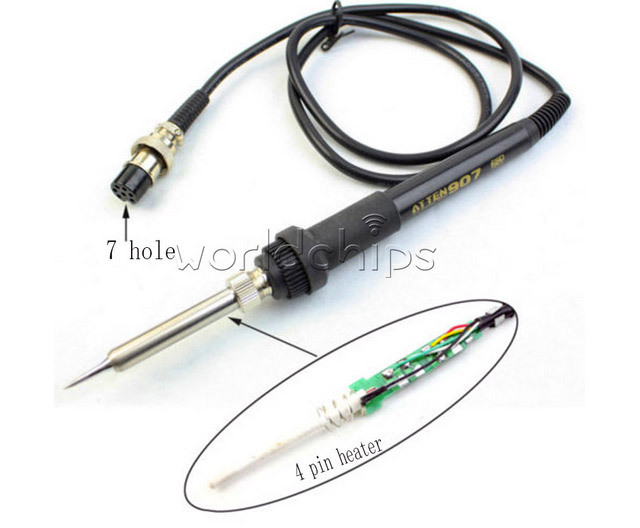 Also the ATTEN 937b is basically a knock-off of the Hakko 936 ESD Soldering Station with Medium (907) Handpiece. Oh look, the “907″ handpiece. Of course. Back when I revealed the Twitter Monkey I had a dark secret… I got the Perl script to work, but just barely, and I really didn’t grok exactly how the code worked. I was just thankful MCQN Ltd. published the Alertuino code for me to get started. I’m happy to say that I’ve made some good progress in getting Perl and the Arduino to talk to each other, and if you keep reading, you’ll see what I’ve got so far. 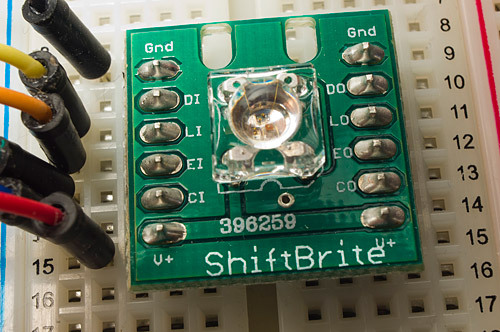 I’ll be using a ShiftBrite from macetech for this example. 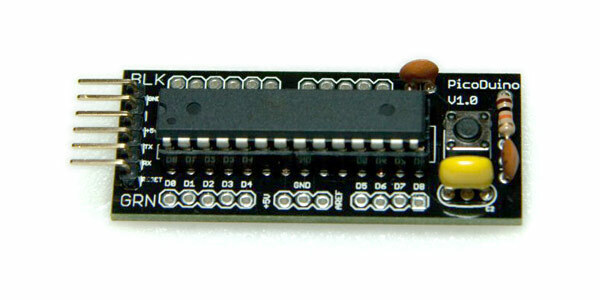 You can buy direct for $4.99, get them from Adafruit for $5.00 or use your #freeday money to get one from Sparkfun. 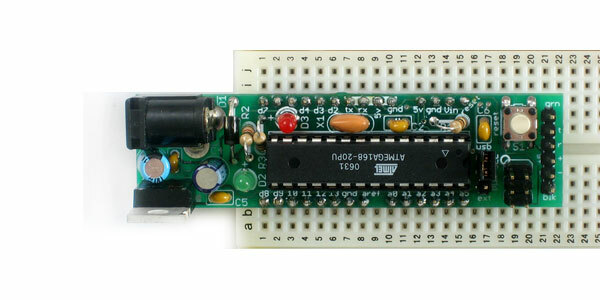 To connect the ShiftBrite, you just run it’s GND to the GND on the Arduino, the V+ to the 5V on the Arduino, and the run DI, LI, CI, EI to digital pins 10, 11, 12, 13 respectively, on the Arduino. Just 6 wires… pretty simple. 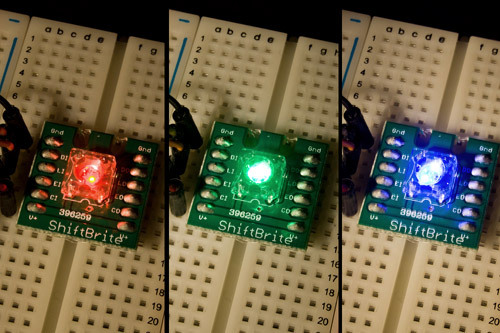 Once again, I stand on the shoulders of others… a hacker named Ashley Hughes wrote a post titled ShiftBrites and the Arduino and provided a library named shiftbritehughesyarduino. Grab it and drop it in your Arduino/libraries folder before we get started. Where the colors are in R,G,B value. Though the scale is not 0-255, or 0-100, but 0-1023. I’m not great at math, so I’m going to use the 0-100 scale and just multiply by 10. So for the line above we’d be sending a RED value of 200, a GREEN value of 400, and a BLUE value of 600. See all those “case” commands followed by numbers? They are looking for the ASCII code being sent from the serial port. Don’t have an ASCII chart handy? Look at this simple one and you’ll see that the decimal value for 0 is 48, for 1 is 49, etc. So our case statements are looking for anything between 0 and 9, which is a nice scale to use. This is the shortest, simplest example I’ve got. You’ll obviously need the Device::SerialPort module installed. If you’ve written anything in Perl (or other languages) this should make some sense. We’re connecting to the serial port (/dev/tty.usbmodem1d21) and sending characters (0 through 9) to it, as well as printing them to the console so you can see them. When you run the Perl script you should see the ShiftBrite light up and change about once per second, cycling through various levels of blue, green, and red. Note: We got the port /dev/tty.usbmodem1d21 from the Arduino IDE (though I’ll show you another way to get it) and the sleep command is in there to give things time to initialize. I’ve found that without it, the serial port communication may miss the first commands. Gotchas: The serial port may change. Mine is ‘/dev/tty.usbmodem1d21′ but it will be different on different machines, and may even change after a reboot. We’ll have a fix for that next time. The other gotcha is that when the Perl script is running, it’s using the serial port, so if you try to upload a new sketch to the Arduino, you will get an error. Since this script only runs for about 13 seconds, you probably won’t hit that problem here… for scripts that loop, you probably will. In a future installment I’ll have a complete project using all the bits we just covered…. stay tuned! 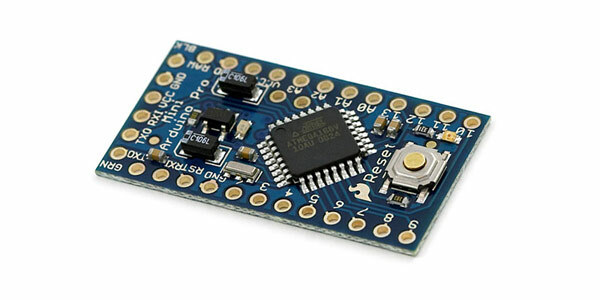 As I continue to explore the world of Arduino, I started looking for cheap Arduinos to use in projects – permanent projects that need a dedicated microcontroller. Once you’ve got an Arduino and start having fun with it, you think about things you can build, but you always want one around for prototyping and trying out new ideas, so for permanent installation, you’ll want a cheap Arduino you can drop in place. Now, since Arudino is open source hardware anyone could get the parts themselves and assemble and use/sell an “Arduino-based” board. This is great, and it’s why I love open source, and it provides many choices. That said, if you are not the “build your own from scratch” kind of person, keep reading for some kits that may work for you. Ardweeny probably wins the prize for smallest Arduino, as the “board” and the components actually sit on top of the chip! It’s a novel idea, that’s for sure. 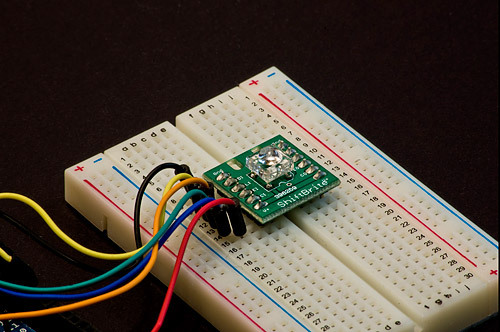 If you want a super-cheap Arduino to plug into a breadboard, this is it. 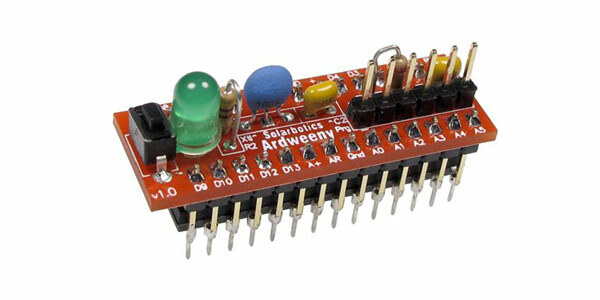 Now, if you want to “free your Ardweeny from the breadboard” you can get an Ardweeny BackPack which provides power, and a few other niceties. It’s $11.95, which makes teaming it with an Ardweeny total more than $20, which doesn’t make a ton of sense to me… It’s a neat idea, but it all seems a little weird. Maker Shed has it for $9.95 + $6.95 shipping and Solarbotics has it for $9.95 + $6.94 shipping but note that Solarbotics has a $5.00 “handling fee” if you place an order under $30. Similar to how the Ardweeny has it’s backpack, the PicoDuino has it’s PicoDuino Shield Adapter, which makes using it in a more traditional fashion a little bit easier. The adapter is $10, same price as the PicoDuino itself. The Makerspace has it for $10.00 + $5.00 shipping. Really Bare Bones Board (or RBBB) is a step-up in the small/cheap Arduino world. 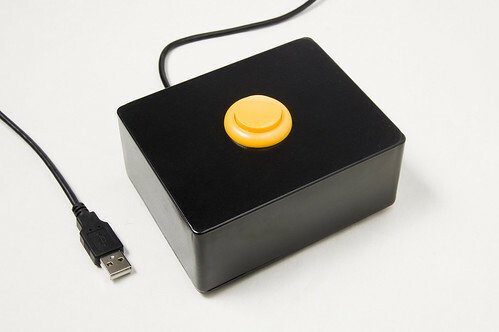 It’s got an easy to connect power jack, a socket for the chip, and the board itself is a bit “customizable” as far as the size you want it to be. I really like the specs of the RBBB. Also note, you can buy one fully assembled for $22.00 if that’s more your style. Modern Device has it for $12.95 + $4.00 shipping, and The Shoppe at Wulfden has it for $12.00 + $2.00 shipping. BoArduino comes from Adafruit Industries, and looks to be pretty similar to the RBBB with perhaps just a few more niceties and features. Arduino Pro Mini comes from SparkFun Electronics and it’s damn small. In fact, it’s miniature! It’s also not really a kit, as it comes assembled (you just need to add header pins.) The chip is surface mounted, so it’s non-replaceable. Again, size is the #1 feature of the Pro Mini. Diavolino comes from Evil Mad Science, and it’s red, and has flames. The Diavolino does not come with a socket for the chip, so add another $1.50 or so if you want one. As for power, you can get a battery pack for an extra $1.00. There’s an extremely detailed assembly guide which I think any beginner would be comfortable following. Evil Mad Science has it for $13.00 + $5.55 shipping. So that’s my quick rundown of cheap (non-USB) Arduino boards. It should be noted that almost all of these get cheaper as you buy more of them. For instance, the RBBB is $12.50 for one, but just $9.50 each when you buy 10 of them. Also, while it makes the most sense to use an FTDI cable to program these, for any of the boards that use a socketed chip, you should be able to pull the chip, put it in a USB-equipped Arduino, program it, and then return it to the non-USB board. In theory anyway… Note that I also didn’t really talk about what model these are based on, most appear to be based on the Duemilanove or the slightly older Diecimila. How you use it will determine if this matters much. All boards mentioned use the ATmega328, though many show outdated photos with older chips on their product pages, so always read the specs! And if this isn’t enough, take a look at the spreadsheet of many more Arduinos, which may be slightly dated, but is definitely a nice long list.